Facial rejuvenation is quick and easy with dermal fillers such as Restylane® and JUVÉDERM® at our Kalispell, Montana, practice. Whether you want to soften wrinkles, restore volume to the cheeks, or plump up thinning lips, we have a filler that’s right for you. Results are instant and no downtime is needed, so you can leave our office looking refreshed and rejuvenated. JUVÉDERM: The JUVÉDERM family of fillers is made from hyaluronic acid, a naturally occurring component of young, resilient skin. This line of products restores volume to the cheeks, nasolabial folds, marionette lines, and lips. Products include JUVÉDERM® Ultra, JUVÉDERM® Ultra Plus, JUVÉDERM VOLLURE®, JUVÉDERM VOLUMA® XC, and JUVÉDERM VOLBELLA® XC. VOLUMA is an innovative filler that is approved by the FDA to treat age-related volume loss in the cheeks with results lasting up to 2 years. VOLBELLA is used to add subtle volume to lips and soften the appearance of vertical lip lines with results lasting up to 1 year.appearance of vertical lip lines, with results lasting up to 1 year. Restylane®: The Restylane collection of fillers, also hyaluronic acid based, includes Restylane, Restylane® Silk, Restylane® Refyne, Restylane® Defyne, and Restylane® Lyft. These fillers are used for softening facial wrinkles and nasolabial folds, sculpting and filling out the lips, and restoring volume to the cheeks and back of the hands. BELOTERO BALANCE®: This filler is used to smooth out and fill in small lines and wrinkles in the face. Upon injection, it quickly and evenly integrates into the skin. BELOTERO is ideal for treating stubborn, etched-in smile lines and the vertical lines that appear above and around the lips. RADIESSE®: This filler is injected under the skin and replenishes lost volume and actually stimulates the production of your own natural collagen over time. It is also used for correcting volume loss in the back of the hands. The product is comprised of calcium hydroxylapatite microspheres. Sculptra® Aesthetic: Sculptra is different from JUVÉDERM, Restylane, and RADIESSE because it’s formulated using poly-L-lactic acid, a substance that stimulates collagen production in the skin to gradually soften facial folds and wrinkles. Sculptra is injected as a series of treatments to get the best results. Results can last up to 2 years. Because neuromodulators like BOTOX® Cosmetic and Dysport® treat different concerns such as crow’s feet, horizontal forehead lines, and frown lines between the eyebrows, we often perform these treatments with fillers for enhanced facial rejuvenation. Using a short, thin needle, your provider gently injects the filler into your areas of concern. You can expect there to be temporary redness, swelling, and occasional bruising. With little to no downtime needed, you can return to your daily routine as scheduled. Results are natural but noticeable instantly. The longevity of improvement differs between fillers and areas treated; we recommend periodic follow-up treatments to keep you looking and feeling your very best. If you’re interested in nonsurgical facial rejuvenation with dermal fillers and live in Missoula or other areas of western Montana, request a consultation using the online form to meet with Dr. Michelle Spring, Dr. Michael Hromadka, or our experienced physician assistant, Kristy Ehrmantraut. 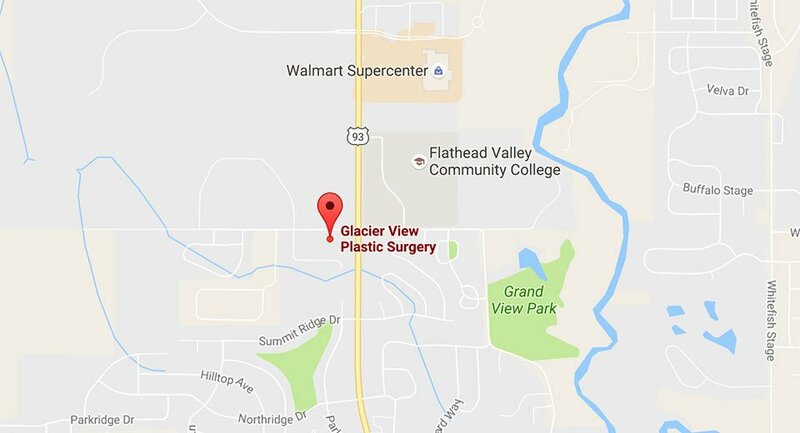 You can also call our practice at (406) 756-2241 to schedule an appointment.